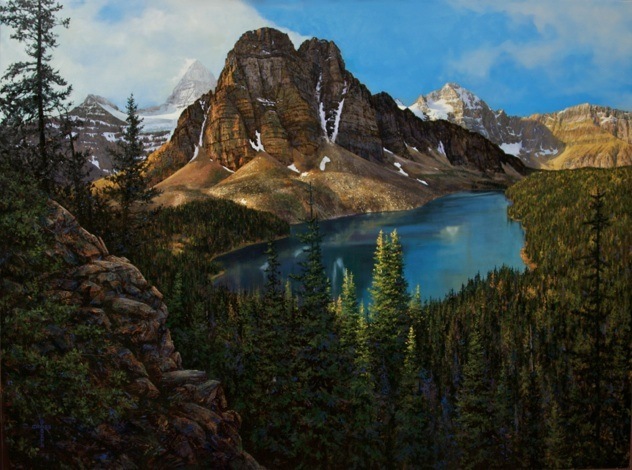 Joseph Cross is creating a series of four paintings (possibly more) depicting the incredible scenery of British Columbia’s Mount Assiniboine Provincial Park. The series of paintings will be reproduced in limited edition giclée on canvas for general sale in various sizes. 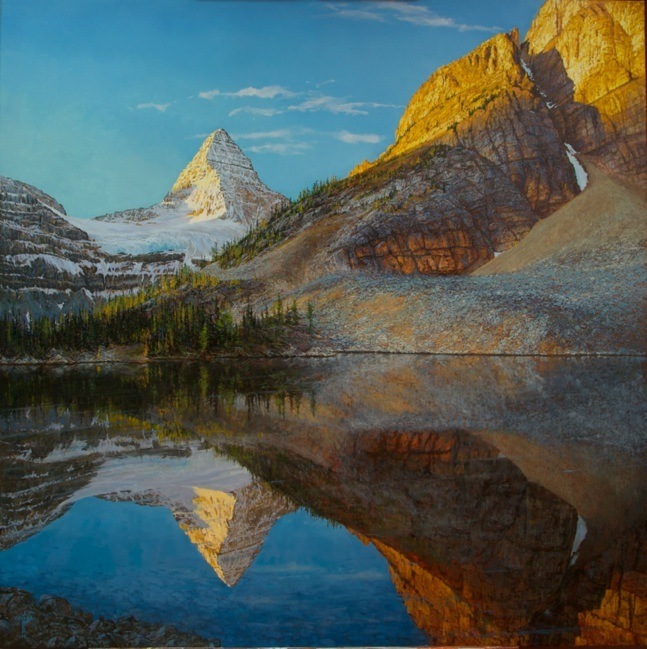 The majority of the profits from the giclées will be for the benefit of Mount Assiniboine Park and other Kootenay Provincial Parks. For years hiking and exploring Mt. Assiniboine in it’s various seasons has been a passion of the Crosses. Undertaking this project is a way to give back to the park what it has so graciously given. We know Mt. Assiniboine Provincial Park touches the lives of those who venture there. Helping to enhance the experience of the visitor in this exceptional place brings meaning to our work. Keep checking back for the paintings that Joseph will be creating, or contact us to be put on our e-mail list for updates. 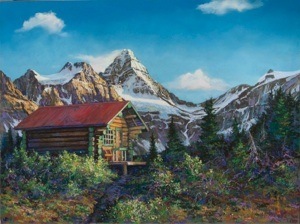 On March 16, 2011, Fisher Peak Art Gallery in Cranbrook hosted the unveiling of the first painting by Joseph Cross in the Mt. Assiniboine series. It ran on CTV across Canada. The CTV news clip and the online newspaper article is below. To read some Excerpts from the Journal of Sharon Cross: The Journey - How the Paintings were Made click here. If you would like to purchase one of these limited edition giclées in support the Park Enhancement Fund contact Sharon Cross (below).